In a previous post of Dynamics NAV Essentials, we have shed a light on the item charges functionality in Dynamics NAV, it was precisely about the landed costs associated with the purchase order receiving, such as but not limited to: customs, freight, insurance, physical handling …etc. On the other hand, the item charges functionality provides further enhanced capabilities in order to track and record any associated costs to the “outbound transactions” such as sales shipments, return shipment, return receipt and transfer receipt. These functions illustrated below are allowed on the “Item Charge Assignment” form in Dynamics NAV. Inventoriable Cost, which affect the actual cost amount of the item. This post to the inventory GL account. Non Inventoriable Cost, which doesn’t affect the actual cost amount of the item, it doesn’t post tot the inventory GL account. In the following example, we will illustrate how we may use the item charges in order to automate the “expenses” associated with the sales order delivery to be included as a value entry on the item level, but doesn’t directly affect the inventory item actual cost. The following form shows the item charges, we have created a new item for the External Works” to be associated with the sales shipments. The next step is to record the Purchase Order and invoice the vendor which provides external works services. Although, this expense will be associated with a specific sales order. 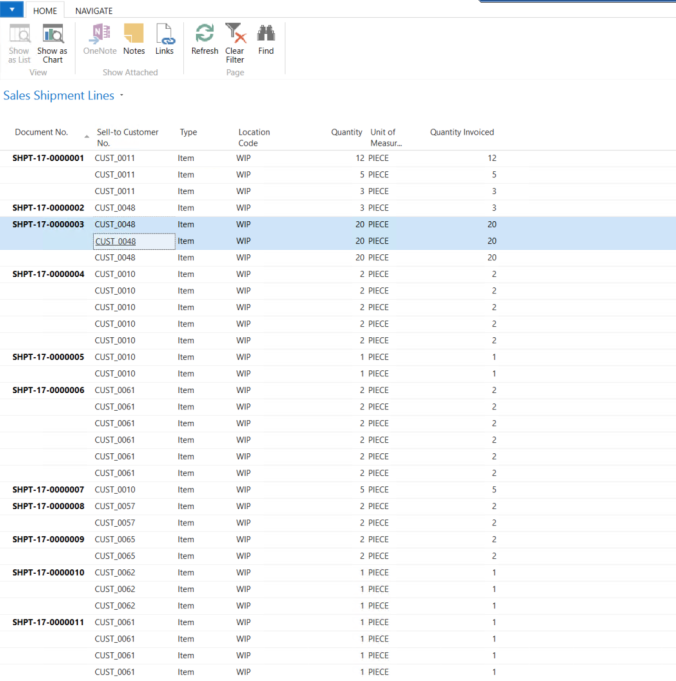 On the item charge assignment form, you will have to click on “Actions” tab and then choose “Get Sales Shipment Lines”, then highlight the specific columns which needs to be associated with Non Inventoriable costs. Posting the above purchase order with item charges assigned to sales shipments lines will affect the non Inventoriable cost of the item, it will record a value entry record on the item ledger entries. Although, inventory accounts will not be revalued.